Ciao! sono un bambino di nome Oscar. 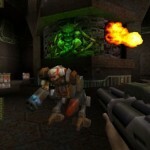 Vorrei che voi mi scaricate quake 2 perpiacere? I can’t play it :( The website just doesn’t load. I can not open the page of the game. I want open this page but I don’t know how. I’m using Safari 5.1 to open the page. many of the important textures are 404ing, such as every enemy. I agree I’m not a good web manager… But I’m not a manager I’m a software engineer. I made this website to promote webgl. 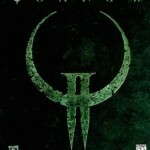 For QuakeGL it is not maintained anymore and so it is hard to have a working demo. I’ll try to improve the current version to make it work. The demo works but I can’t see enemies so I die. How come I don’t see enemies? Worked Ok on Chrome, you can see a cursor offset from the cross-hair, off putting when trying to shoot etc. Images loaded after a while, enemy behavior normal, Overall massive success! Yeah, the server is back online again. Good remember on that great game. Keep on the good work.!! Cheers buddy, works fine on chrome other than the curser offset, brought back lots of great memories.